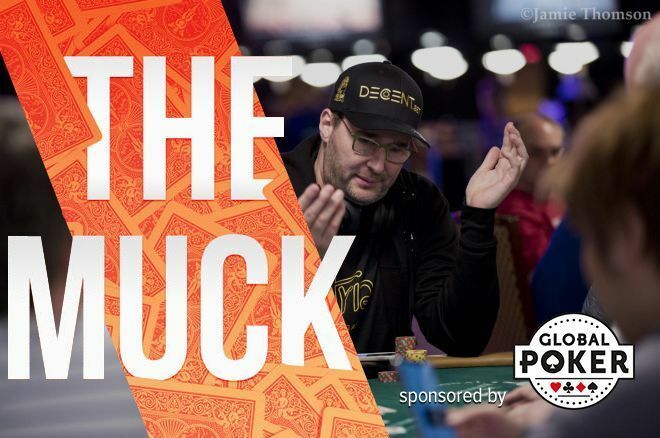 In latest @official_glp The Muck: @phil_hellmuth busts the 2018 WSOP Main Event as many fans cheer. Phil Hellmuth is a polarizing guy. The 14-time World Series of Poker bracelet winner has plenty of fans, but he also has more than his fair share of haters. 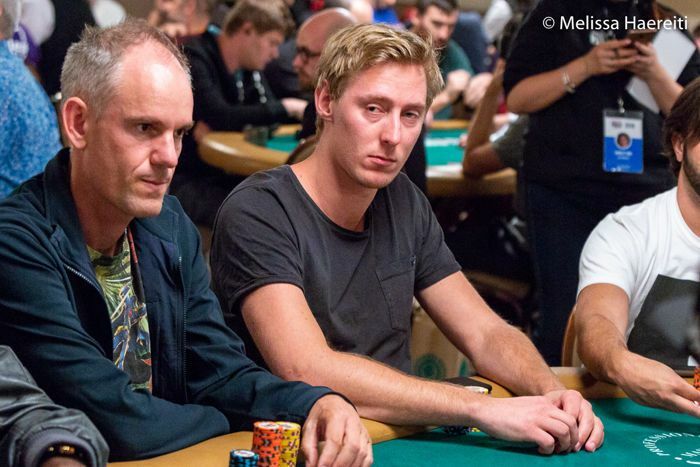 During the 2018 WSOP Main Event, Hellmuth didn’t do himself any favors when he got involved in a controversial hand with James “Camby” Campbell (though he won some over when he later agreed to buy Camby into the 2019 WSOP Main Event). On Day 3 of the 2018 WSOP Main Event, Hellmuth hit the rail in brutal fashion and it sent shockwaves through the poker world. Not waves of shock nor empathy, but rather a jubilation as many delighted in the Poker Brat’s misfortune. Hellmuth’s demise came in Level 13 (1,500/3,000/500) at the secondary feature table, which was streaming on PokerGo. It happened when Steve Billirakis made it 6,500 from early position and Jans Arends three-bet to 19,000. Hellmuth then four-bet to 50,000, leaving himself just 500 behind. Billirakis folded, Arends moved all with ace-nine suited, and and Hellmuth called off with Big Slick. Hellmuth was in prime shape to double and get back in contention, but a nine spiked on the river to end his bid for another deep run in the Main Event. While Hellmuth’s dreams were crushed on this side of the Las Vegas Strip, players celebrated on the other. “Lol the whole poker room @WynnPoker cheered louder than the World Cup game when Hellmuth gut eliminated from the main,” Andrew White tweeted. Scott Seiver also revealed on Twitter that the Bellagio poker room also erupted in cheers, while others added the same thing happened at locales such as Arizona’s Talking Stick Casino and Iowa’s Horseshoe Council Bluffs. Jans Arends is the man who did Hellmuth in. The “Bustout Heard Around the World” even made it to Daniel Negreanu’s popular Vlog where “Kid Poker” captured the hand in real time via the stream and reacted. Leading up to it, Negreanu weighed in on Hellmuth’s tendency to issue challenges without backing them up. Hellmuth, who did claim after getting it in he didn’t have a good feeling, kept his composure and shook hands with the entire table before departing. “And that’s the end of Hellmuth so I guess I’ll be doing commentary with that guy,” Negreanu added. You can watch Negreanu’s reaction in the video at the bottom of this article starting at the 7:32 mark. 1 The Muck: What Do You Think of Hellmuth’s 1.8 Markup? 3 The Muck: "Check, Bet or Joke?" 4 The Muck: Should a Commentator Criticize Play on a Poker Live Stream? 6 The Muck: Did Couple Foxen & Bicknell Take It Easy on Each Other? 7 The Muck: What Is the Modern-Day Poker Dream? 8 The Muck: Would You Eat Three Big Macs for 1.5x Starting Stack? 9 The Muck: Did You Love or Hate Randall Emmett's Grand Entrance? 10 The Muck: Is Missing a Single Hand in a Tournament a Big Deal? 13 The Muck: Could/Should You Fold Kings Preflop on the Main Event Final Table Bubble? 14 The Muck: Should There Have Been a Day Off in 2018 WSOP Main Event? The Muck: Is Missing a Single Hand in a Tournament a Big Deal? The Muck: Did You Love or Hate Randall Emmett's Grand Entrance?